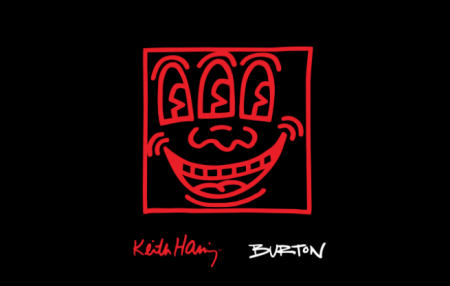 Burton Snowboards continues with their work supporting dead artists with a new capsule featuring the artistry of trail blazing NYC graffiti artist Keith Haring who died February 16, 1990. Featuring the iconic style of American artist Keith Haring whose pop art and graffiti-like work grew out of NYC street culture of the 1980s. © Keith Haring Foundation, www.haring.com. Licensed by Artestar, New York. The collection includes a Keith Haring Deep Thinker snowboard, a Keith Haring Anorak jacket, and a Keith Haring tech T-shirt. Would Keith have loved this collab? Unfortunately, we’ll never know.